LEGO is a trademark from the LEGO group and does not sponsor, authorise or endorse this product. The pieces I use are NOT Lego pieces. 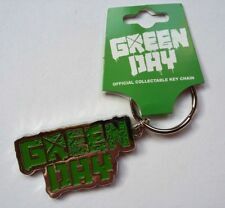 Up for auction is a GREEN DAY fridge magnet. Showing a great full colour image. Measures 3” x 3”. In perfect as new condition. Thanks for looking and good luck bidding. 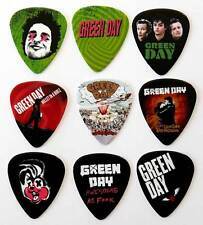 These are real guitar picks and, not just for show. They are high quality premium celluloid, printed on one side only. WOMEN 2017 LARGE POSTER WALL CALENDAR NEW WITH FREE UK POSTAGE !! 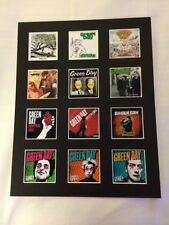 Very Rare Authentic Green Day Nimrod Promotional stickers 1997. Condition is New. Dispatched with Royal Mail 1st Class Large Letter. We are part of the global Red Cross and Red Crescent humanitarian network. We refuse to ignore people in crisis. Box: 18x26cm. Unopened in original box. Box outer is worn marked and scuffed in places. The offspring ultra Rare Tour Guitar Pick. This is a chance to get a unique piece of memorabilia. Condition is Very Good. I am selling a large part of my music collection, so please see my other auctions for more tour guitar picks and signed cds. THIS IS A JAPANESE TOUR PROGRAM AND ALL IS IN JAPANESE. THIS WAS SOLD ONLY AT THE LIVE MUSICAL SHOWS. Green Day Ticket From Gig At Emirates Stadium 1 June 2013 Good Condition. Condition is Good. Dispatched with Royal Mail 1st Class Letter. Matt finish with laser etched motif detail on both sides. Very few of these were pressed, and the mass do not get out to the general population. Great unused condition. Made of construction type paper. Guitars and sticks included in box. Lightly worn Men's Size 10 Macbeth Shoes Mike Dirnt Green Day. Low Top Black Style BKI 0509. UK 9, Eur 43. Please check out the pictures. Pop Art Candle Lamp, Punk. Cult Cans can create a beer can lantern with a portrait of virtually any famous face, so if you’d like a lantern which we do not currently feature then get in touch and we will do our best to make it for you! Released in 2001 on Reprise Records - Region 2/3/4/5/6. This A3-sized Limited Edition Print features a highly detailed hand drawn illustration of Billie-Joe Armstrong’s Fernandes Stratocaster 'Blue' from George Morgan. Billie-Joe Armstrong’s Fernandes Stratocaster 'Blue'. These ads will often have yellowing as they are printed on newspaper, but this just adds to the overall authentic appeal. Sent in a cardboard stiffener, to. The picture is the item you will receive. Green Day - American Idiot ~ Vintage T-Shirt ~ Size XL ~ Rock @T.G. Printed to the front and the back. Billie-Joe Armstrong's Fernandes Stratocaster Blue. Among the changes Billie-Joe made to this Fernandes Stratocaster copy was to the bridge pickup. Blue was Billie-Joe Armstrong’s first electric guitar and remains his most popular, carrying a number of different stickers over the years. 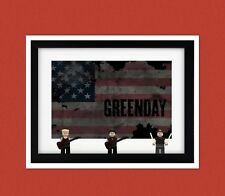 Green Day " American Idiot " 7 Piece Set. 1. Two sided Japanese record release flyer. 5 x 7 thick gloss paper. Super rare! New, sealed, and in their original boxes. Mike dropped his rubber chicken because the little clear rubber band holding it in place broke. I didn't want to break the tape seal on the box to fix it, but you can if it bugs you. For sale is a Dookie vinyl record signed by Mike Dirnt and Tre Cool of Green Day. This record was signed in Kansas City before a recent show. Item is certified authentic by JSA. The attached photos of Mike and Tre signing for us serve as proof and can be sent to the buyer upon request. Please message with any questions. Double Page Folded with Staple Marks. Excellent condition. Not in original packaging Smoke free home. This white 10oz ceramic mug is decorated with a highly detailed hand drawn illustration of Billie-Joe Armstrong's Fernandes StratocasterBlue. The guitar has been dye sublimated onto the mug. The illustration of this famous guitar is original and has been produced by George Morgan following extensive research. The lamination is thinner than a 10mil lamination normally used for touring passes. This is a still sealed brick of 50 (fifty). These are from a PAST tour and have zero access value. Both sides are shown. Green Day 2005 Tour UK Gig list Double Page Poster from Kerrang to frame? Two Separate Pages To Place Together. The pick is light blue with black printing. The back of the pick is blank. Green Day UK promo sticker for the release of the album Warning.
" Dookie ". Platinum Music Award. What Is This Award?. The Award Reads Compact Disc And Cassette. Certification Number: AC79350. Condition: 100% authentic autograph, excellent condition. BILLIE JOE ARMSTRONG. SINGLE PAGE FROM BOOK.